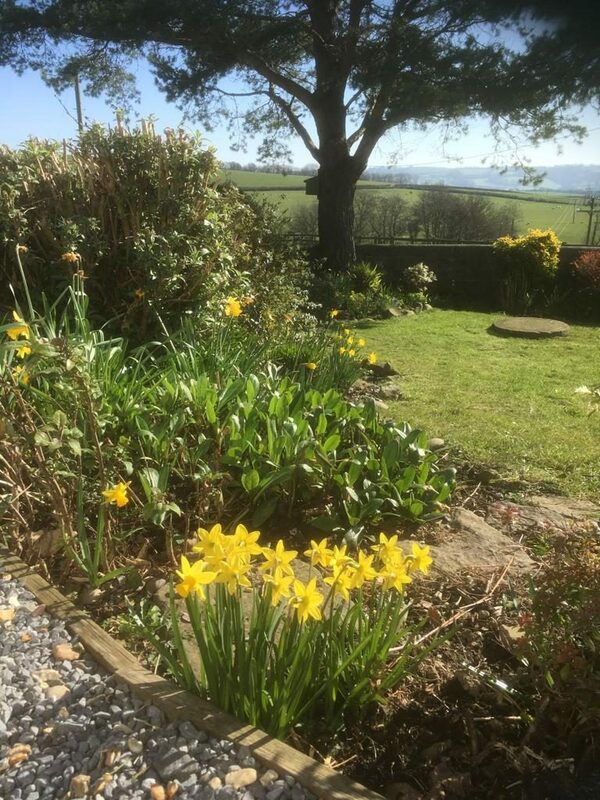 Though we’re being battered by high winds & heavy rainfall, the Met Office issuing one yellow warning after another, the signs of Spring are all around us here in West Wales. The air has warmed, the hedgerows and woodlands slowly fill with the colours of snowdrops, primrose & the early shoots of bluebells and every day we’re blessed with newborn baby animals in our maternity ward! Spring at Bronhaul Farm is always an exciting time. 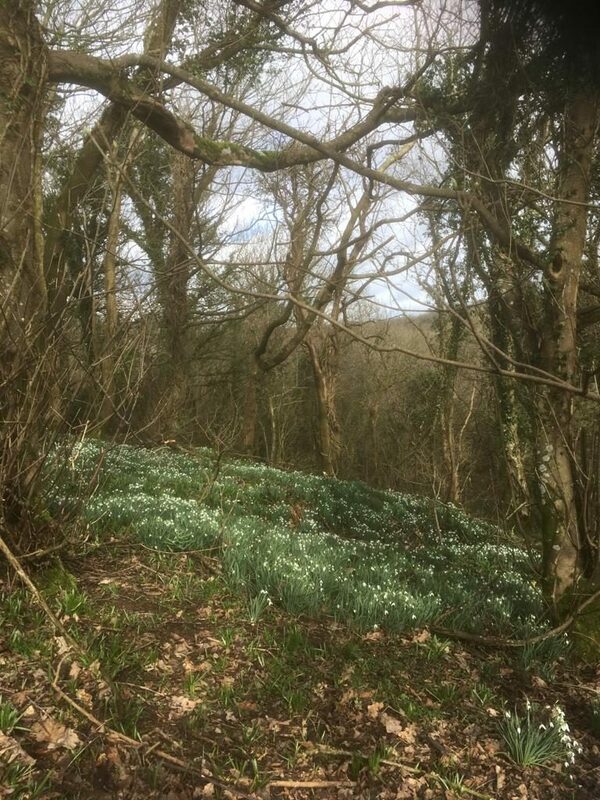 All of a sudden, just as you think winter will never end, and the woodpile starts to run out, Spring arrives in a dramatic show of natural beauty and the chorus of returning birdsong. New life bursts into the fields, garden beds & the sheds as cows, sheep, pigs and goats give birth on a daily basis. In many ways, it’s our favourite time of year – to watch the land wake from its winter slumber, and to watch as our dedicated mothers give birth to this year’s offspring. 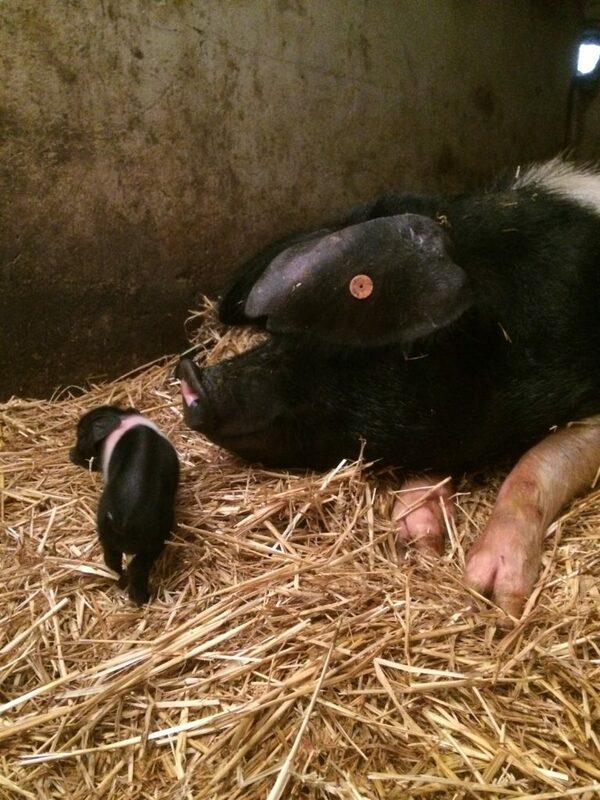 First up, back in February, was a beautiful litter of piglets born to our saddleback sow, Bella. Next, just last week, a handsome Welsh Black bull calf, followed by the first of the lambs. We had to give one of the ewes a helping hand, as both of her twin lambs were in the wrong position in the birth canal. And only this morning, Seren gave birth to a beautiful little kid. It won’t be long and the fields around the farmhouse and our self-catering holiday cottages will be full of spritely young animals finding their feet and prancing and playing in the spring sunshine. After the long quiet of winter, the garden has come to life! There are buds on the 100 or so fruit and nut trees & the weeds are already threatening to take over! 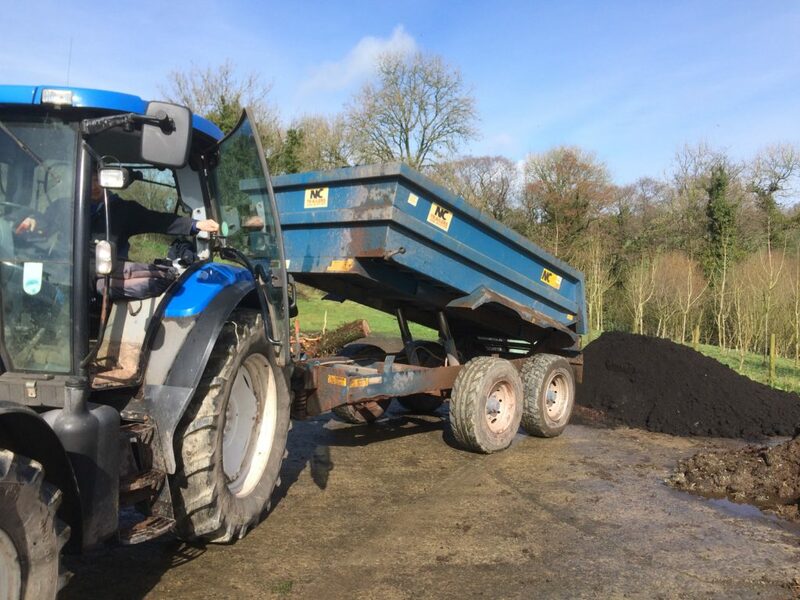 As part of our no-dig, permacultural approach to food growing, we’ve added tonnes of organic matter – horse manure, woodchip and hot, steaming black compost to our garden beds ready to fill them with plants. We’ve sown hundreds of seeds already, some inside the polytunnel and others, like broad beans, straight out into the soil. The pace and momentum starts to pick up around this time of year, and from now on it’ll be a task to keep up with the seasons & the growth! There should be plenty of food to keep you stocked with fresh veg and greens on your next farmstay! As well as keeping us & our guests well fed, the garden hosts Glasbren, our celebration of growing food as a way to build community, health & wellness & connection to the natural world around us. Glasbren will be offering more veg boxes full of fresh, naturally-grown, muddy veg to local people, teaching local schoolchildren about food growing & the importance of caring for our soil & natural environment. A big thanks to our volunteers who have helped us get ready for a big 2019 season! Easter is just around the corner, and we still have some availability in our self-catering farm cottages. A small-scale eco farm is the perfect place to directly experience the coming of Spring – plus you get to meet baby animals, live like a farmer, and relax in green & peaceful surroundings. You can see the wildflowers for yourself on our woodland trails, come and help with some seed sowing, collect your own breakfast and taste the first crops to come out of the garden! 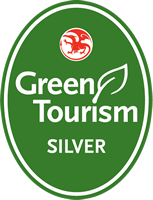 And we’re the perfect base for getting out to experience the glory of Spring in West Wales too! We look forward to showing you around. Oh, and if you can’t make it this Spring, Summer & Autumn are pretty great too! Want to get these updates straight into your inbox? Make sure you join our mailing list!